As new greenfield project starts, everything from premises to machinery are built from scratch. Polish ST3 Offshore investigated the new ways of heavy automation and acquired modern and efficient PEMA offshore production line to their new factory. To acquire modern and reliable Transition Piece (TP) production machinery for the company’s greenfield factory. Production line for 8 m diameter TP’s consisting of plate joining station, longitudinal seam welding stations, flange fitting station, assembly line, heavy welding platform and various rollerbeds. Smooth transition and fast implementation. High production capacity and stable quality. Monitoring system of process parameters according to Offshore requirements. 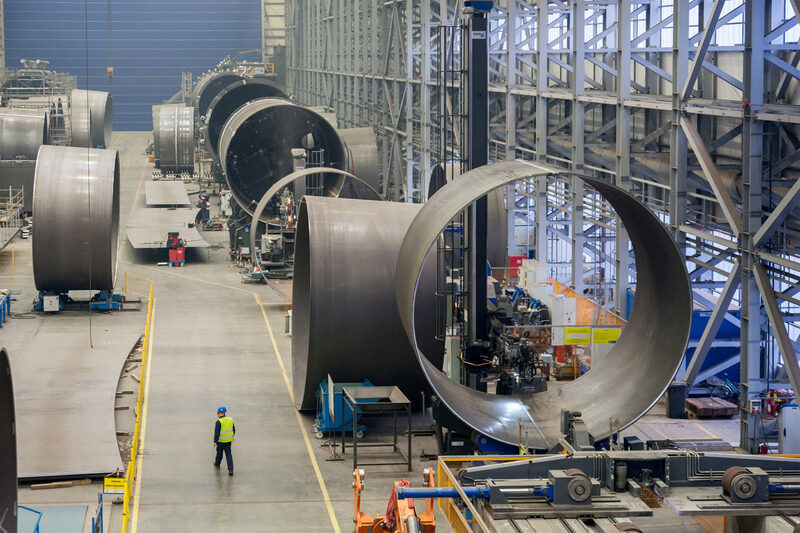 When European offshore steel manufacturer ST3 Offshore, former Bilfinger Mars Offshore, started to plan their brand new offshore factory, one of the main priorities was to acquire up-to-date and efficient manufacturing machinery. The production site, located in Ostrów Brdowski island in the north of Szczecin in Poland, was opened for operation in the end of 2015.  The aim was to find a turn-key provider who had former experience in providing complete heavy automation production line and could bring out innovative and modern production line for offshore and wind energy sectors. Pemamek’s ability to provide integrated complete solutions was one of the key factors that effected on ST3’s decision on starting co-operation with Pemamek. 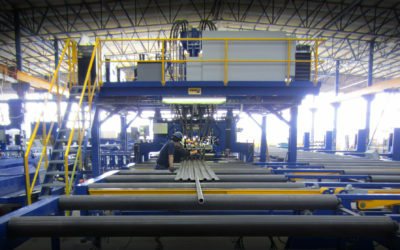 To turn the goals into practice, ST3 Offshore invested in full PEMA production line with uniquely designed systems, such as welding and material handling stations for TP manufacturing. 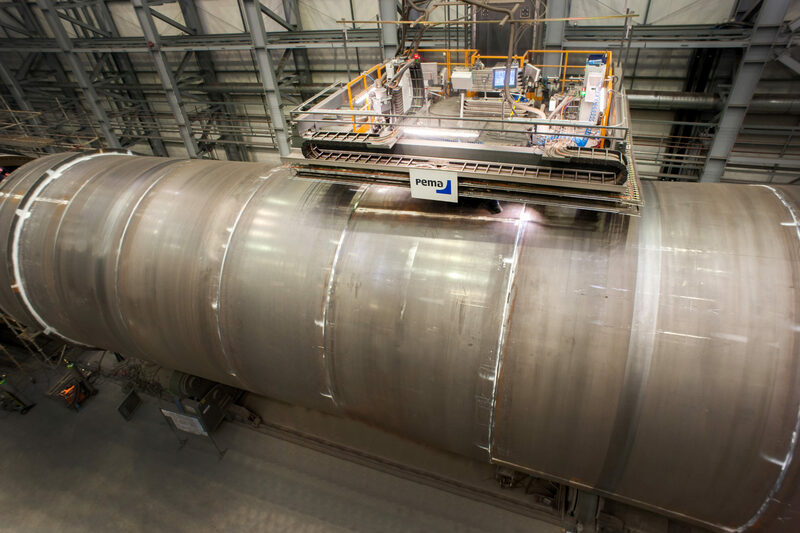 Requirement for the solutions was that it would include state-of-the-art technology and brings competitive edge for ST3 in heavy tubular production. Furthermore, it should be fast to learn and easy to operate, but also provides fast return on investment. 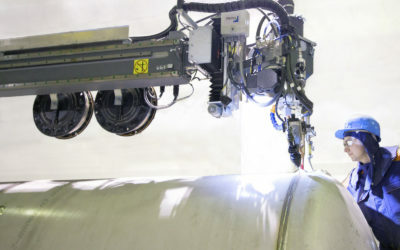 Thanks to the PEMA know-how and profound understanding of automated production lines, the complete TP production solution was designed with optimal welding processes and high capacity work flow. The delivery included efficient and fully integrated plate joining station with other plate processing machinery. 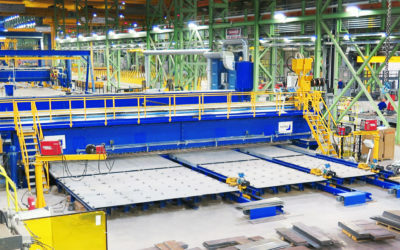 The plate joining station has plate manipulation functions to faciliate accurate aligning and it has effective Tandem SAW welding process with integrated inductive pre-heating equipment. 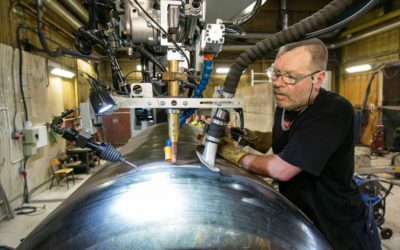 The delivery also included two longitudinal seam welding stations with Extra Heavy Duty Column&Booms, and an innovative gas burner pre-heating system. Additionally, PEMA Horizontal Flange Fitting station (HFF), which enables welding in the same station, was delivered to carry out the demanding work phase of heavy flange assembly. The core of the solution is the assembly of TP which is done in PEMA 400tn assembly line that is equipped also with gas burner pre-heating system. The line consists of PEMA Assembly station, PEMA C&B Tandem SAW process, rollerbeds and welding platform with two SAW Tandem heads for outside welding, but also rollerbeds for milling. 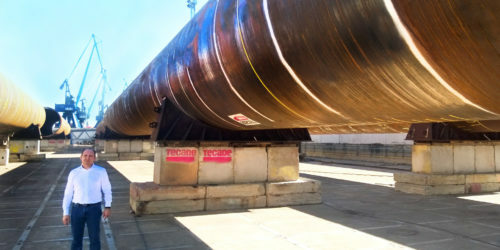 Another three sets of 400tons rollerbed ensembles were also included in the delivery to enable material handling for secondary steel and welding examination. As a result of successful partnership between the teams from ST3 Offshore and Pemamek, the solution was completed ahead of schedule, which enabled fast implementation and start of operation. To support the start of the production and speed up ramp-up time, PEMA Customer Support Team gave a large amount of on-site production support. In addition to fast project start-up, PEMA solution provided high capacity and minimized unintentional interruptions in the production.